A Jewish overnight summer camp may be an experience most Jewish kids have come to expect, but it was with the opening last summer of a program created for deaf Jewish children—the only such program in the world—that they too, will have the same benefit. Now two Israeli deaf children will also get to join, promising to make summer 2015 the experience of a lifetime for them. Eliran Ben Harrouch from Be’er Sheva and Noy Bailiti from Ashkelon, both 15 years old, were the winners in a contest among Israel’s deaf children. Launched by Chabad-Lubavitch Rabbi Yehoshua Soudakoff, director of The Jewish Deaf Foundation, the contest asked participants to create a video about their favorite Jewish holiday. 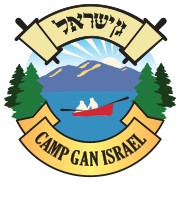 The winners will get an all-expenses-paid summer at, respectively, the Chabad Camp Gan Israel in the Poconos and L’Man Achai summer camp, which are both running programs for deaf Jewish children. Reviewed by a panel of three deaf judges, the videos, said Soudakoff via text message, were all illuminating, but Purim and Rosh Hashana came out on top. Soudakoff, a tireless activist for the Jewish deaf community, says that there has been an outpouring of support for the three-week program. Raising the funds necessary is not easy, but he is clearly driven to reach out to as many Jewish deaf children as possible, he says. “If you know of a Jewish deaf or hard-of-hearing child anywhere in the world who communicates in sign language, please contact us via jewishdeaffoundation.org,” he offers. With no organized Jewish deaf communities, many of the campers are receiving their first Jewish life immersion experience and will enjoy their first encounter with other kids struggling with disabilities in a society that has not been kind to them. For Soudakoff and his team, the idea is to ensure that being deaf does not mean being excluded from a rich, full, Jewish life experience. The camp is expecting campers from Israel, France, Germany, Russia, Ukraine, and the United Kingdom. Children are also coming from states including California, Arizona, Texas, Maryland, Massachusetts, New Jersey, and New York. “Wow! My mother never told me about all this,” Joel Pennington of Houston, Texas, said after his exposure last year to Jewish life at L’Man Achai. Camp counselors are deaf and fluent in sign language. “Many of our campers come from fully deaf families, with deaf parents and siblings. They attend deaf schools and have deaf friends,” says Soudakoff via email.